President Donald Trump and right-wing media have repeatedly referred to cost-sharing reduction (CSR) payments -- a key subsidy under the Affordable Care Act that helps working class people afford insurance -- as a “bailout” for the insurance industry to defend Trump’s decision to cease making the payments. Fact-checkers have refuted the characterization of these payments as “bailouts,” and experts note that failure to make these payments could wreck havoc on the insurance industry and would end up costing the federal government billions. President Donald Trump announced on October 12 that he would be ending cost-sharing reduction (CSR) payments to insurers, which have been a crucial part of the Affordable Care Act (ACA) that have helped ensure low-income Americans can afford health insurance. During the fight over the ACA this summer, media outlets made a litany of mistakes in their health care coverage. Given the dire consequences of this latest move to dismantle the ACA, it’s increasingly important that coverage avoids a few key pitfalls. Ending cost-sharing reduction (CSR) payments is the latest move in the Republican-led effort to sabotage the ACA, and media must say so. Republican efforts to take down the ACA are nothing new, but they have been regalvanized under Trump’s presidency. 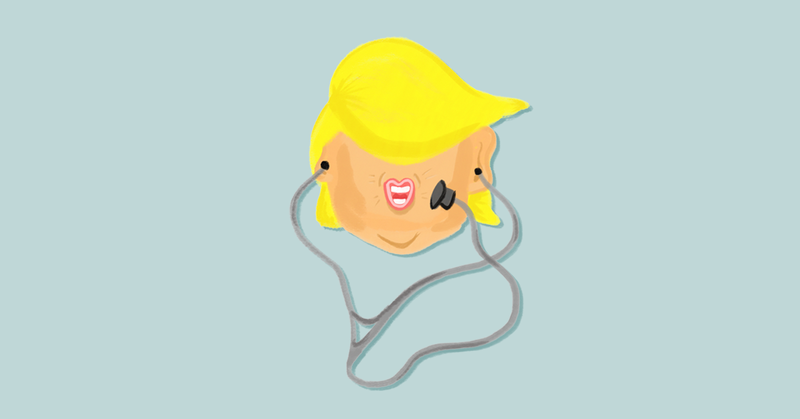 A lot of the destruction Trump and his cronies have caused has been in the shadows, and that strategy has fooled the media into neglecting to mention the role of sabotage whenever anything goes wrong in the health care market. The ACA was doing fine before Trump got his hands on it. Despite the near constant complaints from right-wing media figures of a “death spiral,” analyses found that the Obamacare markets were “stabilizing.” Even the Trump administration’s own Centers for Medicare and Medicaid Services released a report finding stable markets in 2016. This sabotage really shouldn’t be surprising. Trump said he would “let ObamaCare implode,” if congressional efforts to repeal and replace the ACA failed. As Topher Spiro of the Center for American Progress wrote, “It’s now impossible for Republicans to blame Obamacare for any premium increases or insurer exits” given all the attempts to ruin the law. Health care is complex. There’s no need for media to muddle that complexity with falsehoods from talking heads spouting partisan lies or useless punditry. Fox News, predictably, often relies on its “Medical A-Team” to make dubious claims and lie about health care. 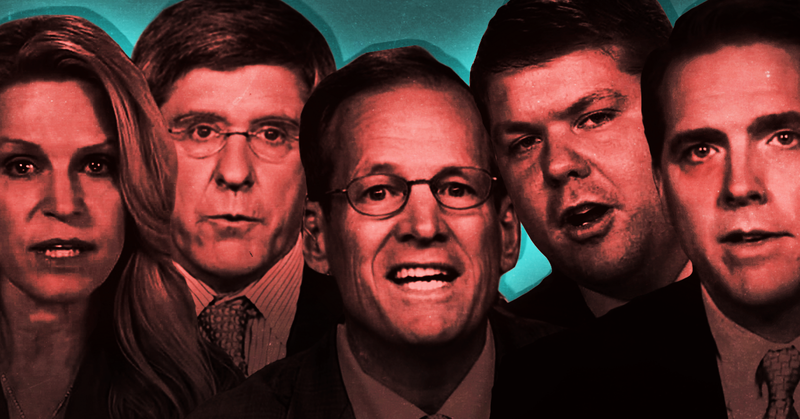 CNN similarly has problematic “experts” whom the network often leans on for health care analysis, including Stephen Moore, who has somehow built a career on pushing shoddy predictions, misinformation, and misleading claims. Cable news also too often gives valuable time to pundits who focus on "optics" or politics, rather than policy. When real experts have appeared on cable news, however, these doctors, health care beat reporters, and current and former health care officials have effectively debunked misinformation and accurately explained the debate at hand. These are the kind of people media should be hosting. Tell Stephen Moore to take the day off. And the Kaiser Family Foundation found that ending these payments “would result in a net increase in federal costs of $2.3 billion” next year compared to current projections. These facts should be front and center in every report and interview about Trump’s newest move. In the past, local newspapers, cable morning shows, Sunday political shows, prime-time cable news, broadcast news, and national newspapers have omitted key consequences of health care proposals from their reporting. Media should learn from past mistakes and bring attention to these consequences. Conservatives have repeatedly tried to frame CSRs as “bailouts” to the insurance industry. The problem with that is they’re wrong. Republicans want people to think these payments are bailouts, because that sounds a lot more scandalous than helping low-income people buy insurance. Media shouldn’t adopt that frame. Many of the ways Trump has acted to sabotage the ACA have been through executive order or unilateral action from the executive branch. Predictably, under former President Barack Obama, Republicans routinely freaked out over any executive order or unilateral action het put into place. If they come out supporting Trump’s use of unilateral action to end these payments, they should be called out as hypocrites. All journalists should follow Cuomo’s line of questioning when speaking to any lawmaker in the coming days who was critical of Obama’s use of executive power, especially on health care. A new Columbia University report adds to a wealth of research disproving the right-wing media myth that President Donald Trump can bring back coal jobs and revitalize coal communities by simply rolling back environmental protections enacted by previous administrations. We found that 49 percent of the decline in domestic US coal consumption was due to the drop in natural gas prices, 26 percent was due to lower than expected electricity demand, and 18 percent was due to growth in renewable energy. Environmental regulations contributed to the decline by accelerating coal power plant retirement, but these were a less significant factor. We also found that changes in the global coal market have played a far greater role in the decline of US production and employment than is generally understood. The recent collapse of Chinese coal demand, especially for metallurgical coal, depressed coal prices around the world and reduced the market for US exports. The decline in global coal prices was a particularly important factor in the recent wave of coal company bankruptcies and resulting threats to the healthcare and pension security of retired US coal miners and their dependents. Second, the paper examines the prospects for a recovery of US coal production and employment by modeling the impact of President Trump’s executive order and assessing the global coal market outlook. We found that successfully removing President Obama’s environmental regulations has the potential to mitigate the recent decline in US coal consumption, but that will only occur if natural gas prices start to rise. If they remain at current levels, domestic consumption will continue to decline, particularly if renewable energy costs fall faster than expected. We similarly see little prospect of a sustainable recovery in global coal demand growth and seaborne coal prices. Combining our domestic and international market outlook, we believe it is highly unlikely US coal mining employment will return to pre-2015 levels, let alone the industry’s historical highs. 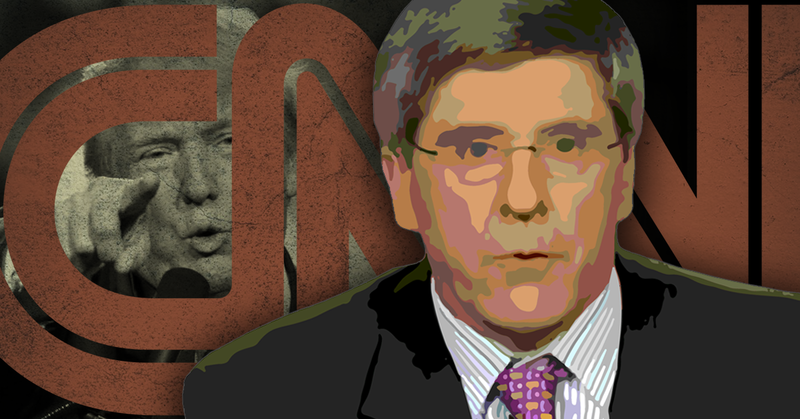 Why Does CNN Even Give Stephen Moore A Platform? In response to reports that President Donald Trump would unveil a plan to reduce the corporate income tax rate from 35 to 15 percent, discredited economic pundit Stephen Moore rushed to praise the budget busting corporate giveaway while misleadingly claiming that the tax cuts will help pay for themselves by boosting economic activity. On April 25, the conservative-leaning Tax Foundation posted an analysis of the Trump administration’s claims that the tax cut would pay for itself, concluding that the economy could not grow enough to offset the losses in revenue. According to the Tax Foundation’s charitable analysis, cutting corporate tax rates to just 15 percent would stoke economic growth by less than half as much as would be needed to make up for lost revenue and result in long-term deficit increase of at least hundreds of billions of dollars. Those conclusions follow an earlier analysis of Trump’s corporate tax proposal by the nonpartisan Tax Policy Center, which on October 18 found that Trump’s corporate tax agenda alone would reduce federal revenue by $207.6 billion in 2018 and by roughly $2.4 trillion over ten years. 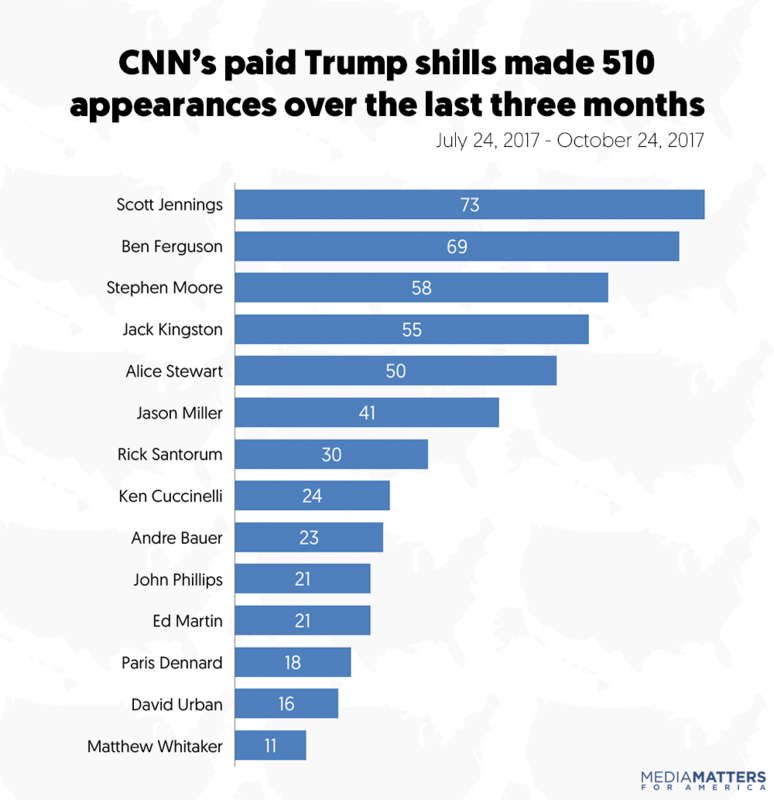 Ever since CNN hired Moore, he has harmed the network’s credibility by spewing lies about the economy while peddling whatever policies are being pushed by the Trump administration. He routinely peddles partisan economic misinformation while being debunked by more reliable experts and his only purpose at the network seems to be recycling right-wing media talking points.